According to a recent PBS News Hour article, the average U.S. Citizen spent $8,233 on medical care in 2010 which is 2.5 times more than any other country. Ironically, the average American family has $3,800 is savings according to the U.S. Census; however, only 15.9% of the population in 2011 was uninsured. 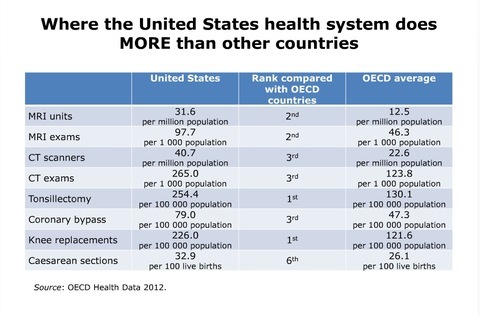 A hospital stay in the United States costs over $18,000 on average according to Mark Pearson, head of Division on Health Policy at Organization for Economic Co-operation and Development (OECD). You might not know but in the U.S., how much a doctor or hospital gets paid depends on the type of insurance a patient has. A patient with an insurance plan with “rich” benefits will usually be have the option to be treated by most doctors while patients who have lower-paying insurers might be denied, unless it’s an emergency. The type of insurance you have is critical to the availability and quality of care you have the opportunity to receive. Currently, there are few methods for controlling rising costs in medical care in the U.S. Having a comprehensive health insurance policy limits your financial risk of an unforeseen illness or accident. 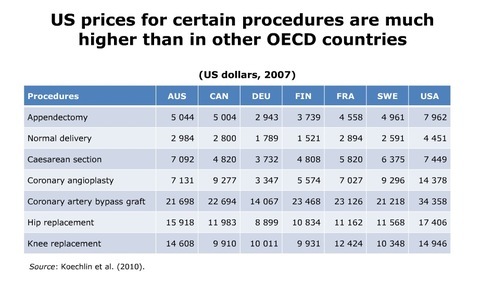 The table below gives some estimate costs of common medical procedures compared with some of the countries with similar quality of medical care. 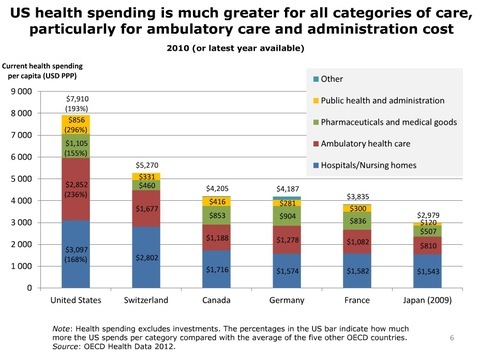 A coronary bypasses costs between nearly 50 percent more than in Canada, Australia and France, and are double the price in Germany. Hip and knee replacements are generally cheaper in other countries than the U.S.
PTCAs (coronary angioplasty) are much more expensive in the United States than elsewhere.